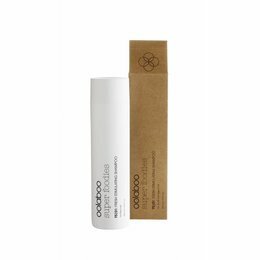 This foam adds firmness and volume during styling and ensures that the hair can easily absorb the nutrients. This gives all hair types, particularly thin and flat hair, a fuller, thicker structure. Contains a unique blend of fixatives and adds body, volume and firmness without making hair feel sticky or hard. Heat-resistant nutrients protect the hair during styling. A special ‘memory hold’ guarantees firmness, which benefits the hair for days at a time. Shake before use. for a personal statement, apply to damp hair. Style hair with a hair drier, diffuser or curlers or allow to air dry. For maximum volume, use in combination with glam former hair blast.